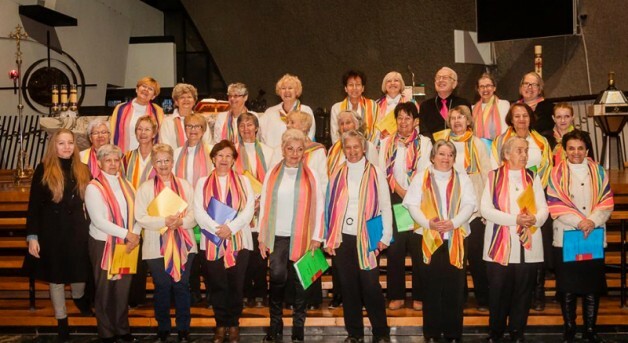 GospelSenior Choir – the first gospel choir in Poland to be made up of senior citizens and the first, permanent gospel choir ever to have rehearsals in Nowa Huta. The choir started rehearsals in October 2014 thanks to a project financed by a Malopolska Lokalnie program entitled “Nowa Huta E-MOTION – emotions and awakening, in other words, ‘gospel in Nowa Huta’”. This project was realised by the Nowa Huta group in the Krakow Senior Citizens Centre, in conjunction with the Gospel Association and the City Centre of Support for Social Initiatives. The members of the choir, about 30 people, are mainly residents of Nowa Huta who attend the Senior Citizens Summer Academy. Only a few of them had sung in choirs before, or had any musical education. After a few weeks of workshops and performances together, they said that they couldn’t imagine their lives without singing gospel music. Their aim is to move Nowa Huta and awaken emotions. They want their singing to bring glory to God, and to express their gratefulness and hope. Thanks to the support of the Krakow City Council they will be able to continue singing and giving concerts. Their conductor is Lea Kjeldsen.